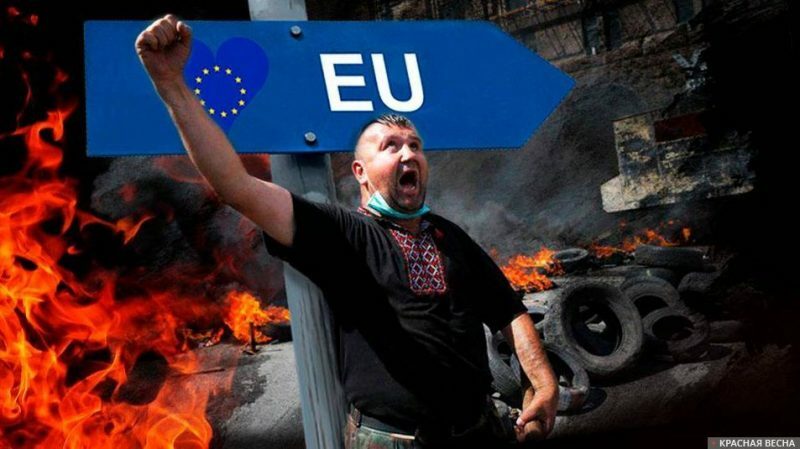 The citizens of France and Germany do not agree with their governments’ policy towards the Ukrainian crisis, a poll conducted by Friedrich-Ebert-Stiftung (FES) – Foundation for Social Democracy showed, a correspondent of the Rossa Primavera News Agency reports on February 13. The poll results were published prior to the opening of the Munich Security Conference. According to the poll, the majority of French and German citizens oppose further sanctions against Russia. Only 33% of French and 17% of Germans support them. Also, there is no unity in public opinion within the two countries towards the possibility of sending a UN peacekeeping mission to Donbass, which the official Berlin and Paris have been lobbying. On this issue, opinion is split nearly equally: 49% of French and 48% of Germans support sending “Blue Helmets”. The most active supporters of the anti-Russian sanctions among the responders in NATO countries are the citizens of Poland: 62% support further sanctions and 63% support deploying “Blue Helmets”. The Munich Conference is a major annual global security event. Many consider President Vladimir Putin’s speech in 2007 at this conference as the beginning of the current freeze in relations between Russia and NATO countries. This entry was posted in News from the West and tagged France, Germany, Informational-Psychological War, Munich Security Conference, Poland, Russia, Ukraine. Bookmark the permalink.